The charm of Smoking Panda lies in how it manages to capture and transform some of the playful, cheeky essence of ‘monkey bars in the playground and ice cream sundaes of wonder’ childhood into a more modern, sophisticated incarnation, without the stiff-backed seriousness of more official ‘adult’ bars, where a suit, tie and exhaustion feel like they are prerequisites of entry. 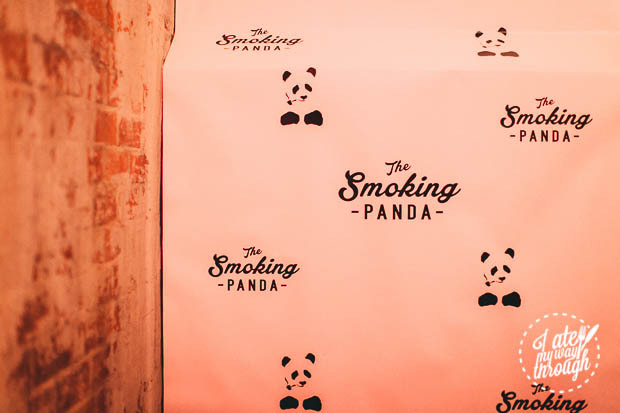 True to its name, the bar greets you with pandas in cartoon form, printed on the sheet visible as you climb the staircase, and a vaguely incense-like smoky scent upon entry that you are quickly acclimated to. 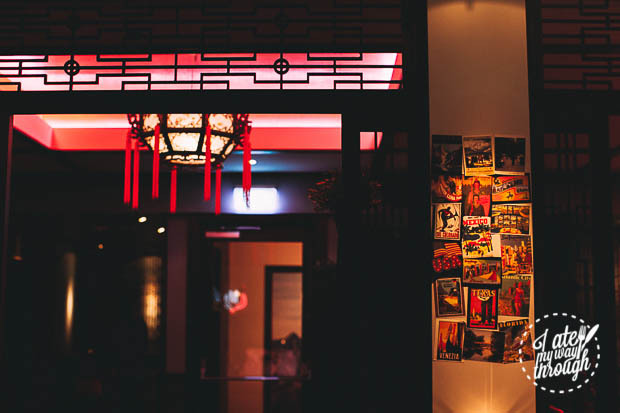 Marrying the passions of its two owners, the Smoking Panda combines American influences with Chinese, which is visible right from the doorway. Despite the complete refurbishment of this Park St space, which used to house a twenty-year-old Chinese restaurant, the spirit of the previous occupant lingers in the doorframe design and Chinese lantern lights, which are restrained enough to avoid being too cliche. 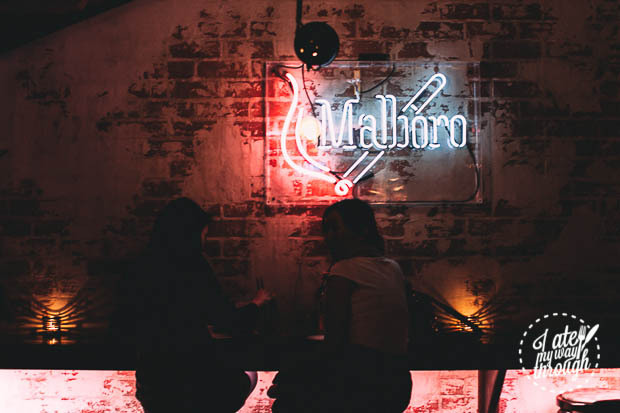 The addition of American-retro elements like the exposed brick wall at the back and lights throwing a pink and blue glow around the room, have taken the space somewhere unique. 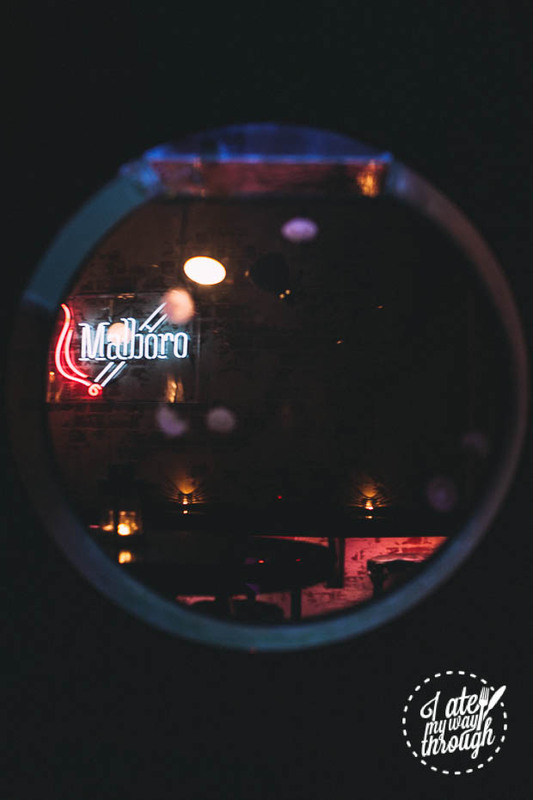 Peering at the bar and the neon Marlboro sign through the illuminated, circular jellyfish tank, I’m reminded a little of the 70s, a little of the 80s and a little of certain Bladerunner sets. 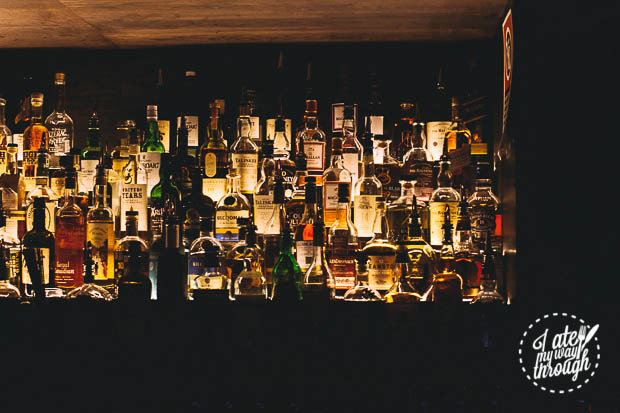 A true test of a bar is what it looks and feels like on a quiet Wednesday evening, when rowdy pre-weekend crowds are still battling through hump day. The overall atmosphere is relaxed, unpretentious and a very Goldilocks-esque ‘just right’; music loud enough to keep a thrum of energy going through conversation but not blaring over your words, the seating arrangements – a combination of couches, table-and-chairs and bar stools – are generously positioned to give you enough privacy but do not prevent you from making eye contact with a mysterious stranger nearby, should you be so inclined. The simplicity of the space also lends itself well to more crowded nights, live DJ included. Open until 5AM from Thursday to Sunday, and until 12AM on others, the Panda has your late night covered. After admiring the Panda’s bar, spanning almost three quarters of the back wall and particularly well-stocked with bourbon and scotch, in line with its American half, we slid into the booth and began with one of the Smoking Panda’s most distinctive cocktails: the Dunkin Doughnut Martini ($17). 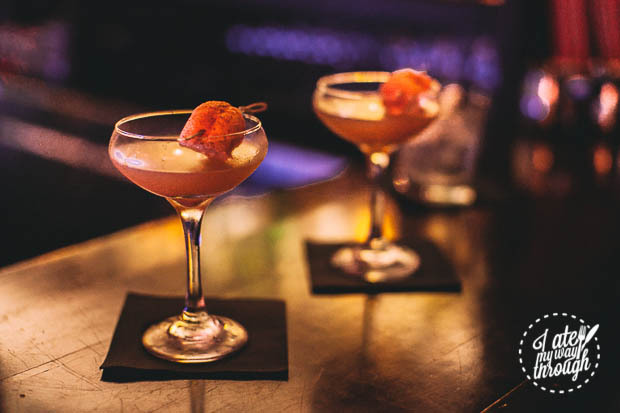 The cocktail comprises dark rum, bourbon, fresh vanilla beans, vanilla liqueur, butterscotch liqueur and doughnut syrup, guarded by a tiny cinnamon doughnut – or rather, a section of a doughnut? 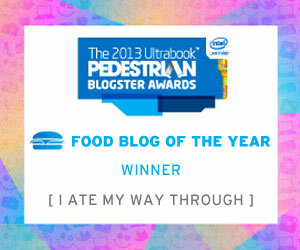 The jury’s still out on that one. Given the near-universal love for doughnuts and alcohol, it’s a wonder that no one has tried this before, but bar manager Tristan assures me that this cocktail is unique to the Panda. I was preparing myself for something that would essentially be a liquefied sugar hit, but the refreshing citrus sourness and alcoholic kick were the dominant flavours, mellowing into a sweeter finish. It definitely felt like the martini was designed to complement rather than imitate the little cinnamon doughnut, which was doing the heavy lifting in bringing most of the ‘doughnut-y’ flavours to the cocktail, but it’s a partnership that works. 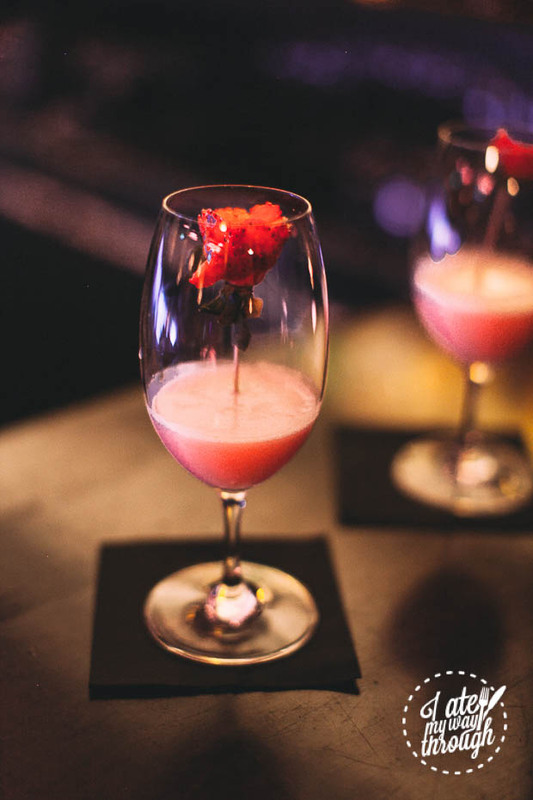 The Blushing Panda ($16) was next, a cheeky concoction of pink rose essence, citric infusions, vanilla gelato, berry and gin, with a beautifully cut strawberry-rose presented in a glass that reminded me of the enchanted rose from Beauty and the Beast. 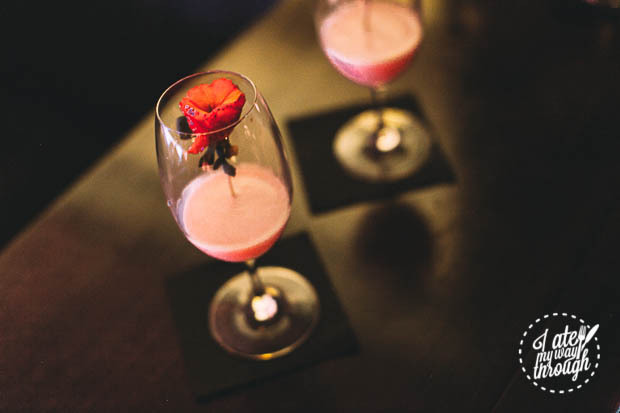 The cocktail’s design, in forcing the drinker to stop and ‘smell the rose’ (or, rather, the vivid sweetness of fresh strawberry), before actually drinking is a rather ingenious move because the Blushing Panda certainly smells as incredible as it looks and the scent conjures up images of a refined berry sundae. It does make it a bit awkward to try and avoid getting a noseful of strawberry when you actually tip the glass back to drink! The sudden kick of gin upon actually drinking is almost a surprise and a tad overpowering, but tapers off to leave a lingering vanilla aftertaste. This is the dessert cocktail to buy the manliest man you know (you know they’ll secretly love it). 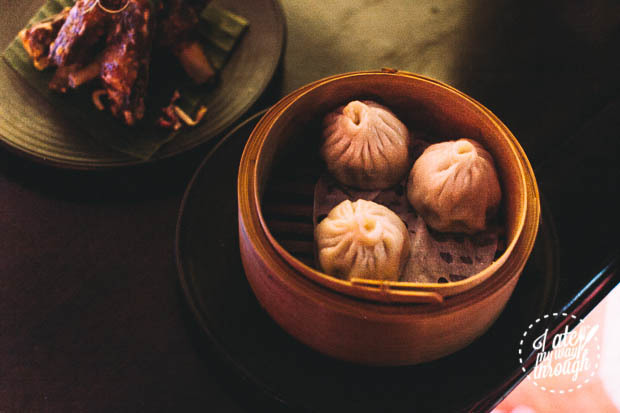 The Smoking Panda’s Eats Menu is where its Chinese half gets to really shine and the bar is certainly not resting on its laurels when it comes to food, with menu ‘edits’ every six months or so. The Steamed XO Soft Shell Crab Sliders ($7 each) have survived the culling so far, for good reason. 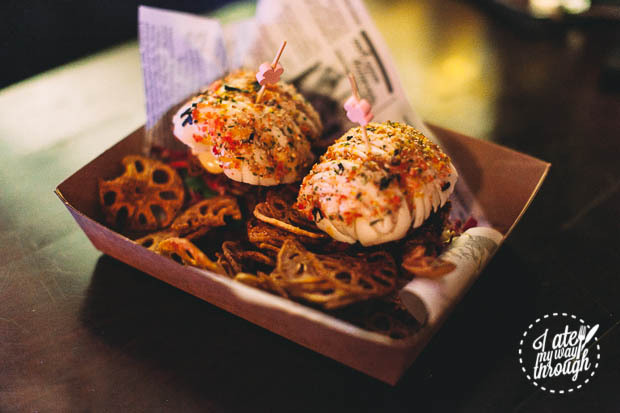 The slight sweetness of the Chinese bao, dusted with Japanese furikake flavouring, creates a great textural and flavour complement to the well-fried crab, which is lightly spiced with South-East Asian flavours. The lotus root chip ‘side’ was crunchy and moreish, but a little too salty and oily, and just slightly overcooked, though the overcooking did add a slight smokiness to the flavour that actually worked quite nicely. This, apparently, is a favourite with the 2AM crowd but works just as well at 8PM after a long day. 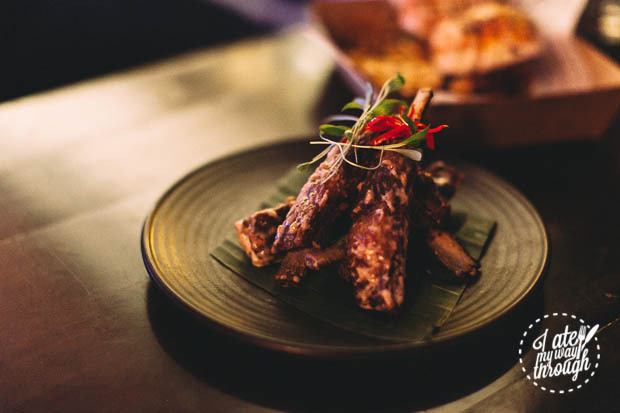 The Spiced Lamb Ribs with peanut butter glaze ($11) were a bit of a hit-and-miss. Though the lamb was beautifully presented and well-flavoured, the ribs were quite oily and cut in a way that left several chunks of fat in the middle of several ribs, which we had to pick out. The peanut glaze was either too light or neutral to enhance the flavour and, thus, merely added a layer of patchy sauce to an already rich dish. Our final dish was the Soup Dumpling ($9), a take on the hand-made steamed Shanghai xiao long bao. The encasing dumpling wrapper was thick and quite doughy, especially towards the top of the spiral. On the plus side, the filling was absolutely delicious and authentic, vivid with shiitake mushroom, ginger, soy sauce and pork flavours. Thin up the bun a little more and you have a definitive home run of a dish. I also have to give a special mention to the adorable fork-chopstick (forkstick? chopfork?) cutlery and the simple, effective design of the wrapper that they came in. 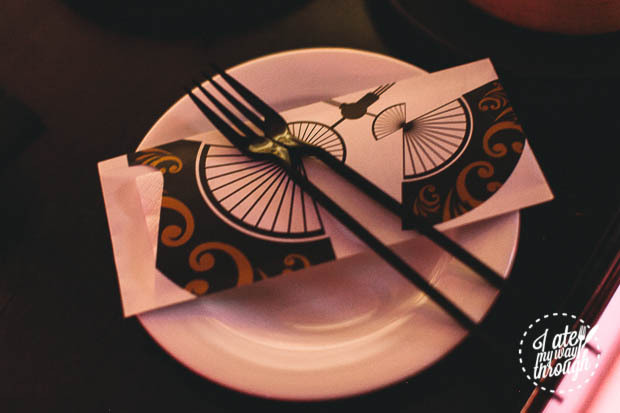 These are the small design details that really elevate a venue for me and show the extent to which the owners have thought through their brand and theme. When thinking about the Smoking Panda as a whole, adjectives like ‘colourful’, ‘relaxed’ and ‘quirky’ come to mind but I also find myself thinking back to the first Dunkin’ Doughnut cocktail. 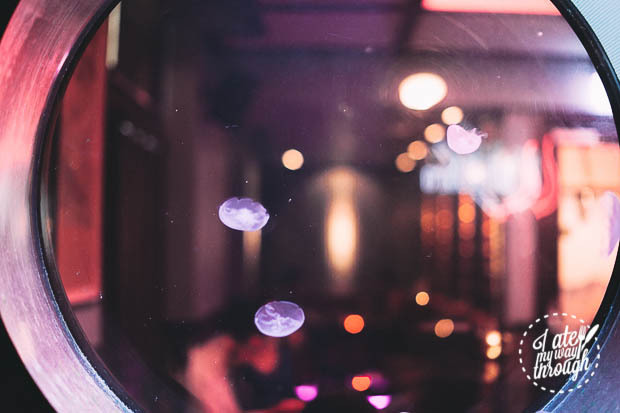 The bar as a whole is, fittingly, reminiscent of one of its most famous drinks: it’s is not quite the gigantic doughnut you ate with cinnamon-covered relish as a kid, or the bourbon on the rocks you order while putting on your best ‘adult face’. The Smoking Panda experience is, really, a blend of both and urges you to sit back, relax and have fun, exactly as you are.